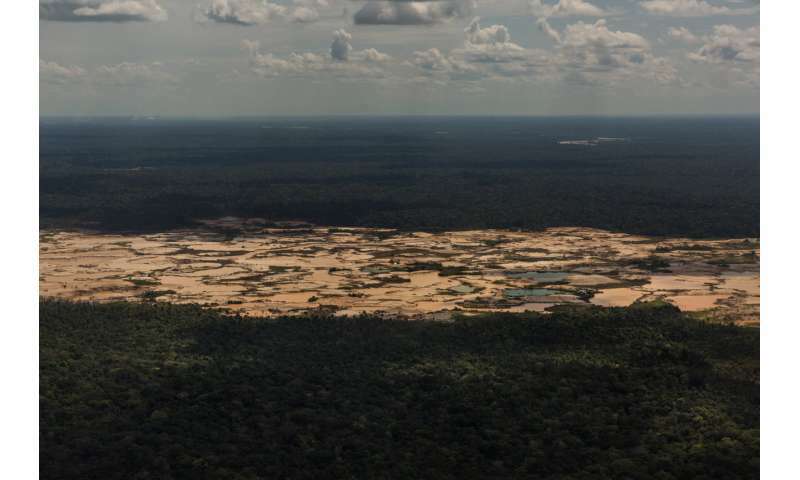 Alongside the all-too-visible deforestation, the Amazon is facing an invisible but increasing threat from mercury pollution according to a new WWF report released today at the Second Conference of the Parties to the Minamata Convention on Mercury in Geneva, Switzerland. Healthy Rivers, Healthy People highlights the dangers mercury pollution poses across the Amazon and calls for urgent action to reduce the use of mercury in small-scale gold mining to protect the world's largest river system and the people and species that depend on it. According to the report, mercury, classified as "one of the top ten chemicals of major public health concern" by the World Health Organization (WHO), is estimated to have negatively affected the health of over 1.5 million people in the region already, while threatening the health and livelihoods of millions more through air and water pollution and plant and animal contamination. "The mercury pollution crisis in the Amazon is unfortunately both invisible and largely ignored despite growing evidence of the dangers it poses for people and wildlife across the river system," said Jordi Surkin, Director of WWF's Amazon Coordination Unit. "Furthermore, the most vulnerable victims are indigenous peoples and local communities – and tens of thousands of unique species." The Amazon is estimated to have the richest biodiversity in the world. 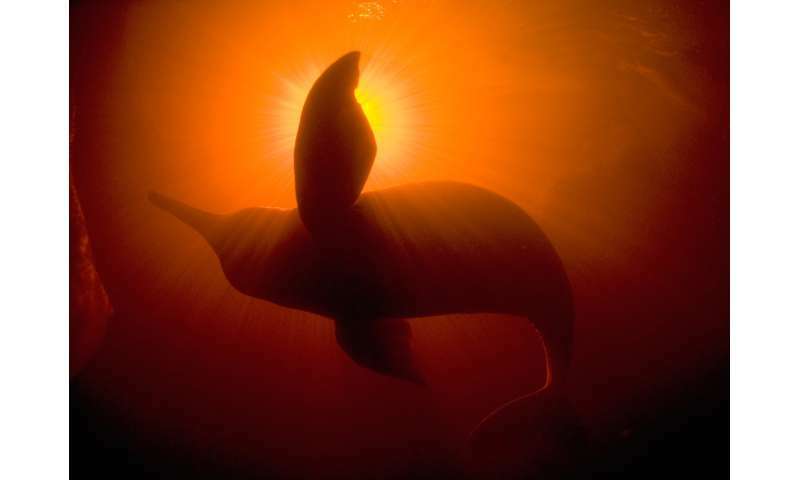 However, mercury pollution is threatening its wildlife, putting iconic predators such as jaguars and river dolphins as well as fish that are critical to the food security of indigenous, rural and urban communities at risk. Around the world, freshwater species populations have suffered the greatest decline since 1970 according to WWF's recent Living Planet Report – a catastrophic 83 per cent fall on average. The findings of Healthy Rivers, Healthy People indicate that this trend is unlikely to be reversed in the Amazon unless mercury pollution is tackled. One study cited in the report found that 81 per cent of carnivorous fish had detectable levels of mercury, while another showed that 26 per cent of river dolphins had mercury levels above the recommended World Health Organization level for people. 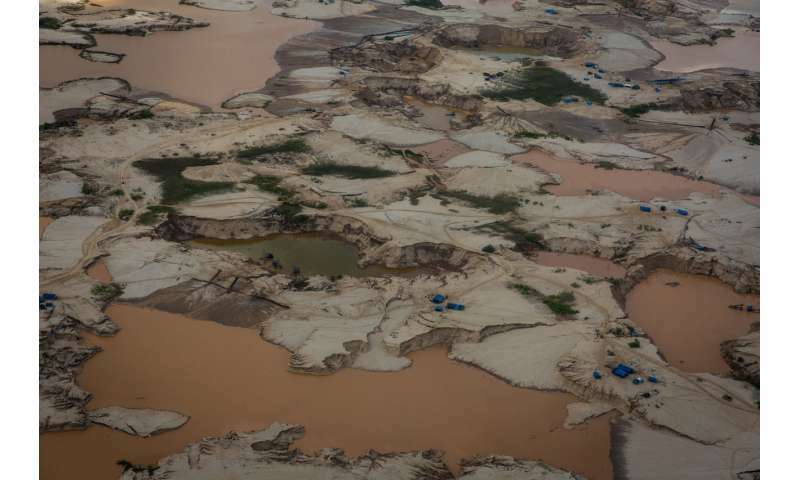 The main source of mercury pollution in the Amazon is artisanal and small-scale gold mining, which accounts for 15 per cent of the gold extracted from the region. Mercury is used in the gold purification process – contributing around 71 per cent of all mercury emissions each year. 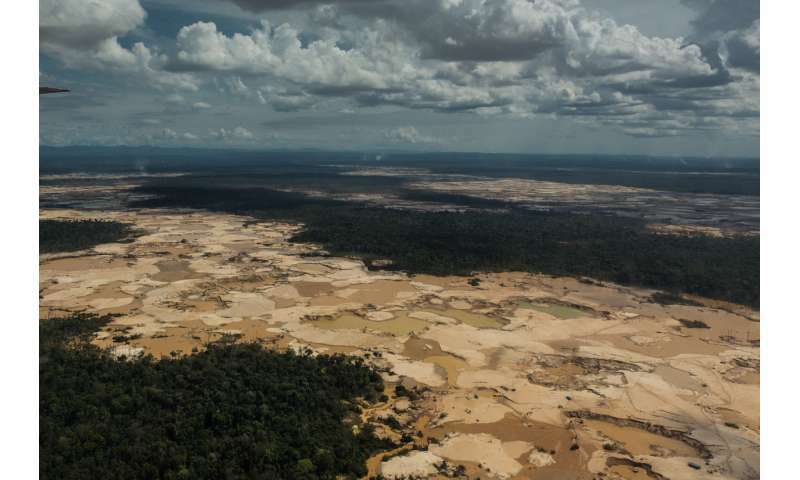 "Gold mining is an important source of income for millions of people in the Amazon but reliance on mercury is putting people's lives and health at grave risk," said Surkin. "Mercury travels far from the mines, contaminating plants and animals, and severely undermining the health, productivity and quality of life of people across the Amazon – along with hopes of sustainable development. Urgent action is needed tackle this toxic threat across the entire region." The report calls on governments, gold wholesalers and retailers, consumers, and miners to take immediate action to reduce the rampant use of mercury in the Amazon. While all Amazon governments have signed up to the Minamata Convention, the report calls on governments to take action and enforce meaningful anti-mercury policies. Governments also need to support miners to adopt alternative, environmentally sustainable livelihoods. The report also urges gold buyers and retailers to commit to sourcing all gold through verified responsible supply chains, while calling on consumers, including banks, to purchase gold only from responsible retailers with verified supply chains. Finally, WWF urges mining communities and local authorities to work together to adopt new policies and regulations, and utilize available financial and technical assistance for adopting mercury-free mining practices. To drive these actions, WWF promoted the creation of the Regional Alliance for a Mercury Free Amazon, a platform that brings together organizations, government representatives, researchers and indigenous leaders. The aim of this alliance is to consolidate information, share lessons learned and engage with this issue from a regional perspective. Representatives from the Alliance will participate at the Minamata Convention conference in Geneva. "Ratification of the Minimata Convention was a first step but now the Amazon countries need to put in place the right investment, regulatory framework and enforcement to tackle mercury pollution and protect Amazon's unique biodiversity and local populations," said Surkin. "As countries meet this week in Geneva and also at the UN Biodiversity Conference in Egypt, we have a chance to set an example for how we can take collective and decisive action to protect rivers and ecosystems for people and wildlife." 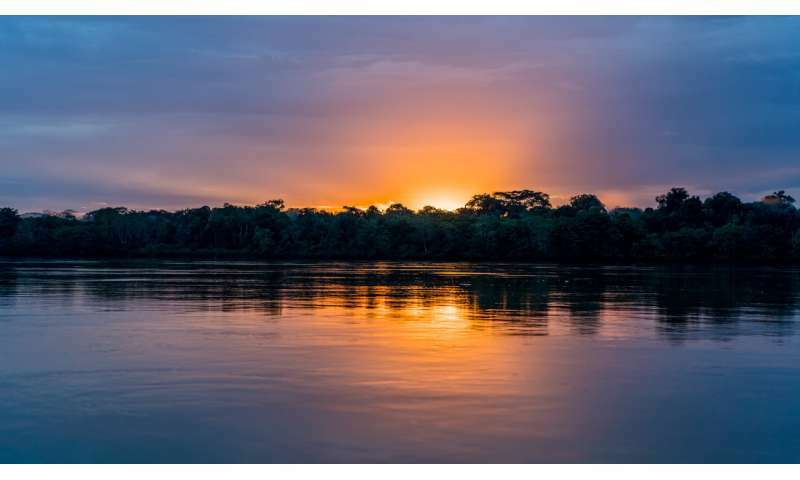 "Together, we can create safe, sustainable livelihoods for the Amazon's small-scale gold miners and ensure that the region's freshwater resources remain a source of life for people and nature," added Surkin.